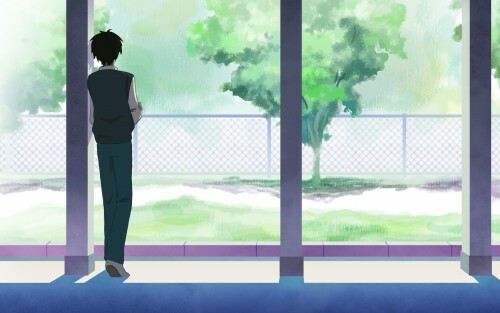 Kimi ni Todoke Wallpaper: what Happened? Minitokyo »	Kimi ni Todoke Wallpapers » Kimi ni Todoke Wallpaper: what Happened? Inspired by the end of episode 4. They only showed half of Kazehaya's body, so I drew a whole wallpaper of the scene coz it was so beautiful. I love it! kazehaya-kuun! thanks a lot for sharing!